Digital radiography is one of the most important technological advancements in medical imaging over the last ten years. Using the radiographic films of the past in x-ray imaging is likely to become outmoded within a few years. Similar to the replacement of standard film cameras with digital cameras, digital radiography images can be immediately obtained, revised, if necessary and then sent to a network of computers. The benefits of digital radiography are vast. 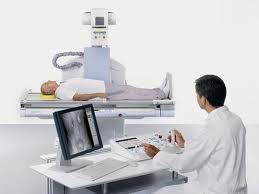 To begin with, radiological facilities or departments can become filmless and the technician or physician can view the requested image on a desktop or a personal computer and often report a diagnosis within just a few minutes after the examination was performed. The images are no longer stored in a single location, but can be seen at the same time by physicians who are miles away from each other. Another major advantage of digital radiography is that radiographic images can be viewed immediately, rather than having to wait for film to be developed. Many physicians and dentist feel that this benefit, alone, is enough to cause a medical facility to switch to using only digital radiography equipment. Just as important and beneficial, is the ability to enhance images using digital radiography. Digital radiography lets the technician make the image lighter or darker, increase contrast, increase images, and make other changes to the original image to assist in easier diagnosis of any irregularities. In addition, the patient can be given the x-ray images on a CD to take to another physician or hospital, thanks to digital radiography. Radiographic images can be stored for years and easily retrieved when needed, and from multiple locations. Digital radiography has been very helpful as huge patient files that are difficult to keep track of are no longer necessary. It is also no longer necessary to weight the risks of x-rays, as it exposes the patient to radiation. Digital radiography has reduced the amount of radiation the patient is exposed to by 70-80%, which is particularly important when multiple images are necessary in dental or medical applications.